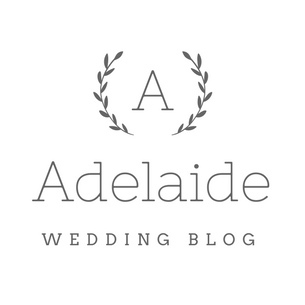 I created this blog to really help Adelaide brides who are planning their wedding. I've been been a professional photographer for 15 years. Based in Adelaide and Paris, my work has appeared in Harpers Bazaar UK, the New York Times, Style Me Pretty and brides.com. In 2015 Style Me Pretty interviewed me, in 2016 Complete Wedding Magazine called me "One of the World's Best Wedding Photographers". You’ve finally chosen your dream wedding dress, got matching wedding bands for you and your groom, found the perfect venue, and organized everything for your wedding. Now you’re down to the last stages of your wedding preparation: your bridal accessories. Your bridal attire wouldn’t be complete without these trinkets to enhance your overall look and save you from some common wedding day mishaps. want to complement your attire with the right jewelry. Test your complete wedding attire days ahead the ceremony. Wear your wedding gown, jewelry, and makeup to see if they match the look you want to achieve. Your wedding day is a chance for you to pamper yourself. You’re entirely within your rights to splurge on beautiful, flattering lingerie that will make you feel beautiful inside and out. Take note of a fews thing when buying the perfect lingerie. What you wear inside doesn't have to perfectly match your wedding dress. Just ensure that your the style and shape of you lingerie suits your dress. Don’t buy it too early in the wedding planning stage. Your body may undergo changes, and you sizes may change. There’s a lot of pressure of choosing daring lingerie. Go for it if that’s what you want; otherwise, pick something that’s flattering and comfortable for you. as the something old component in your bridal attire. may ask you to wear a cardigan or shawl over a strapless gown, so it’s better to be prepared. jacket for an edgy vibe. many variables to consider, mishaps are bound to happen so expect the unexpected. sight of a tiny thing like a ring. Don’t let a minor disaster, like misplaced rings, ruin your wedding. find quality and affordable wedding bands. Your wedding should be one of the happiest experiences in your life, as well as your partner’s. necessary, but they will make your wedding day all the more special and unforgettable.